Day Archives - All Chucked Up! Kung may pagkakataon kang marinig ng buong bansa tungkol sa nalalapit na eleksyon, ano ang gusto mong maipabatid sa lahat? 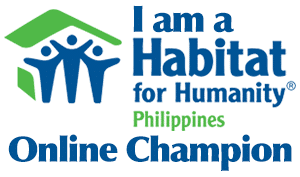 Today, APRIL 29, 2013, is DearPH Blog Action Day – let’s all blog, tweet and post about our hopes, aspirations, reminders and challenges for the Pinoy voting public. 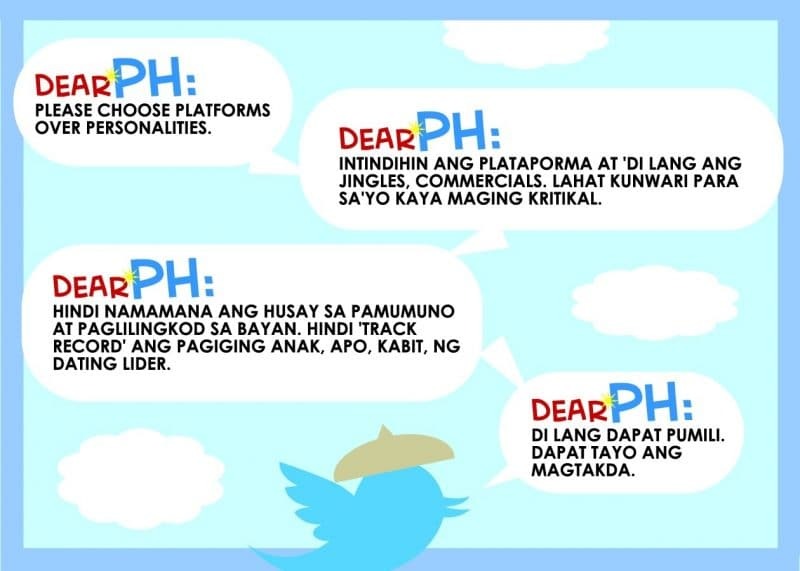 Use the hashtag #DearPH when tweeting out. Let your voice be heard… and may we be able to elect the kind of people who truly care for our country and would inspire all of us to be better Filipinos. 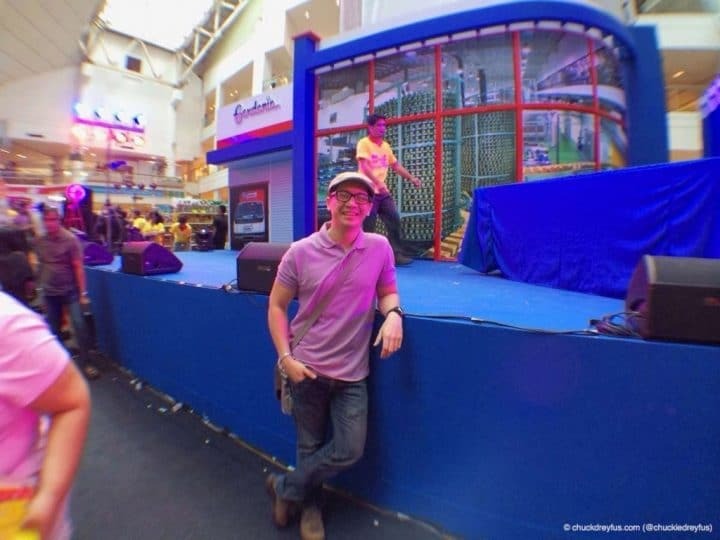 If you have a Facebook account or actively engage with others on Twitter, you must already know that social media isn’t just a force to be reckoned with… but a venue where fun things happen! It gets even better when you actually know the people you engage with on a personal level. That’s what tweetups are for. It gives everyone the opportunity to know more about the people you chat with beyond what their profile pics will ever reveal. I’ve been to quite a number of tweetups already and every one of ’em has been a blast! It may be intimidating for others to not know anyone at first but don’t let nerves get the best of you. Just keep in mind that everyone attending a tweetup has at one time or another been an uneasy stranger during his/her first attendance. Don’t fret! People are extra friendly and accommodating. Believe me, hanging out on Twitter after being in one of these tweetups makes the experience of being online extra fun and more enjoyable. Tweetups are also awesome “networking” opportunities – explore business openings, find sideline jobs, heck… even discover your long lost soulmate in the process! Just come… Come for curiosity’s sake… stay for the fun. 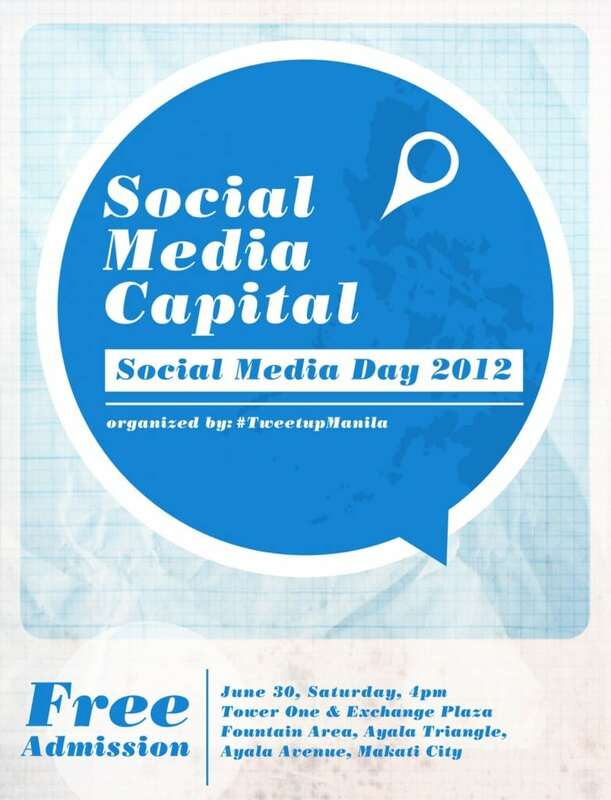 That being said… get ready for a major tweetup on Saturday, June 30, 2012 at 4:00PM! If there was any time in your life that you were planning to drop by a tweetup… this is absolutely the best time to go. It’ll be BIG! It’ll be FUN! And it’ll be WONDERFUL! Everyone will be here… know tweeps from all walks of life and be surprised by how many friends you’ll make before the night is through. 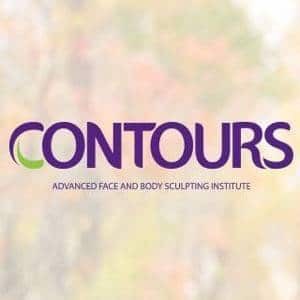 Head over to this site and signup. Nevertheless, you can still come over and attend even without signing up. Attendance is absolutely FREE! Mark the date, tweeps – It happens this Saturday, June 30, 2012. Tower One & Exchange Plaza Fountain Area, Ayala Triangle, Ayala Avenue, Makati City. The venue is impossible to miss… since it’s open-air, the place can be seen along Ayala Avenue. Be one with your fellow tweeps on Social Media Day and know why we are the Social Media Capital of the world. See ya, guys!